Electronic Monitoring System is present in the legal systems of many countries, enabling the serving of sentences that deprive or restrict liberty without the need for prison services. The necessity to serve sentences involving absolute prison isolation, with all its resulting problems, has been replaced by the possibility of serving the sentence at home or in another location speciﬁed by the court. The sentenced individuals can lead their normal personal, professional and family lives while maintaining the full rigour of control exercised through a comprehensive electronic monitoring platform, organised by the penitentiary institutions, curatorial services or other authorised supervising institutions. Serving a sentence under this system is based on the individual’s own responsibility, self-discipline and strict adherence to the schedule speciﬁed by the court. 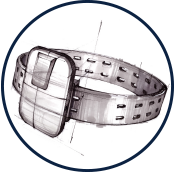 Each individual serving a sentence involving an Electronic Monitoring System has a transceiver device in the form of an electronic bracelet attached to the ankle or, in the case of clear medical contraindications, to the wrist. A monitoring device is installed in their permanent residence, ensuring that the individual adheres to the order of the day set by the court. Any deviation from the speciﬁed regime is automatically reported to the Monitoring Centre, where the appropriate judicial authorities are notiﬁed of the incident. Additionally, the device enables two-way communication: the Monitoring Centre may be set to check for interference in the functioning of the system, any delays in the implementation of the daily schedule of remaining in the indicated place, or to make emergency calls and summons for medical or technical assistance, etc. The basic function of Comp Electronic Monitoring is supervision over individuals serving sentences out of prison. It can also be used for a judgment by the court known as a stadium ban, i.e. prohibiting participation in mass sporting events. In addition to the penitentiary functions, the system can be utilized to care for the elderly and the sick (e.g. those with Alzheimer’s disease). The bracelet is then equipped with a GPS locator, and each anomaly occurring in relation to the standard behaviour of the individual being monitored results in the automatic transfer of information to the twenty-four-hour Monitoring Centre, which, if necessary, may call for assistance and notify the family. An individual serving their sentence under the Electronic Monitoring system can function with almost no restriction in their normal environment. This allows the individual to work, spend time with their family and participate in their social and cultural life. Limiting the contact with the prison community plays a signiﬁcant role in the case of curfewees, especially minors. Furthermore, the Electronic Monitoring System eliminates the negative psychological and social eﬀects of longterm isolation, as well as the reliance on the penitentiary system to take responsibility for securing the basic necessities of life. This is a very important aspect from the point of view of humanitarianism in punishment systems and the rehabilitation of curfewees. An additional beneﬁt of Electronic Monitoring System is the measurable improvement to the budget; cutting the expenses related to ensuring the basic living conditions of prisoners and maintaining prison security. This can be replaced by an eﬃcient and fully automatic control system that reduces costs by up to a factor of ﬁve. 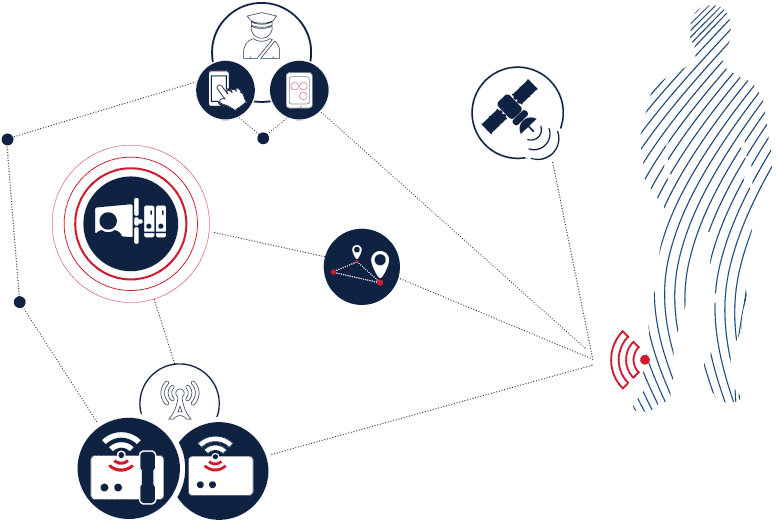 Electronic Monitoring System is a platform based on cutting-edge technology and cryptographic solutions, including all the components necessary for carrying out electronic surveillance tasks eﬃciently and eﬀectively. It has been designed to prioritise security, while ensuring reliable operation and ease of use. The system platform includes the following equipment and applications. Electronic Tag – a device that transmits encoded radio signals to the monitoring unit installed in the location where the sentence is to be served. It automatically confirms that the individual remains in the designated location at the designated times. The two-way communication between the tag and the receiver ensures signal authenticity and enhanced management capabilities. The transmitter features six sensors intended to detect any attempts to tamper with the device, such as cutting the bracelet, cutting the fibre-optic cable or drilling, plus there is an accelerometer, temperature sensor and proximity sensor. It is waterresistant and hypoallergenic, it does not interrupt the operation of a pacemaker, it does not restrict the freedom of movement, and it can be used by pregnant women. The diameter of the bracelet is set to suit the individual, and it is designed to be unobtrusive. 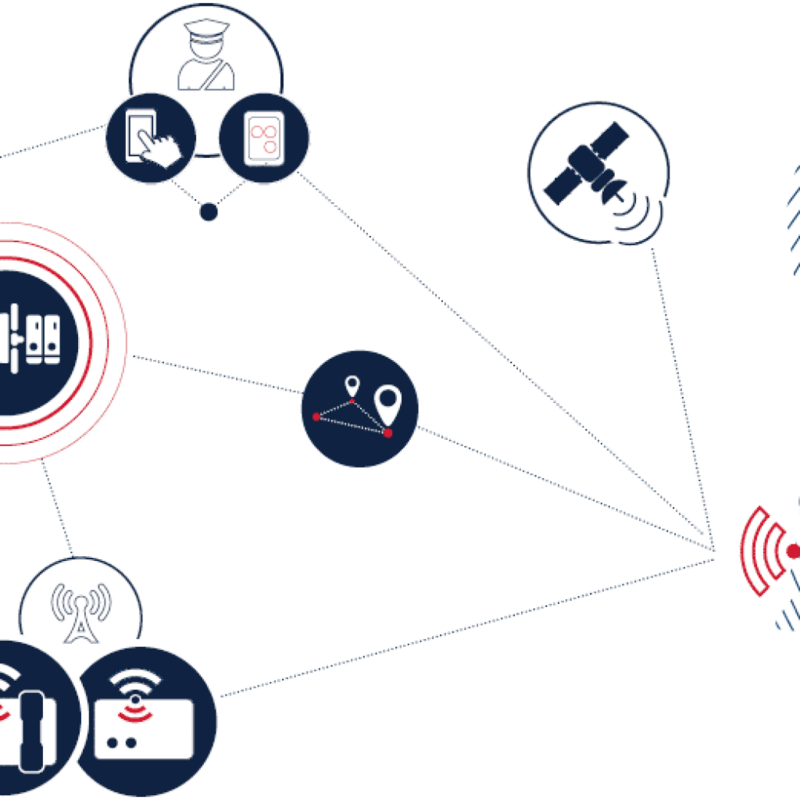 Home Monitoring Unit – a radio device which registers signals from the bracelet’s transmitter and sends information to the Monitoring Centre over a GSM link. It supports telephone communication between the Monitoring Centre operators and the individual, with a text message function viewable on the screen. To ensure the highest level of security, both the RFT/HMU and HMU/Central System communications have been encrypted using a powerful AES-256 algorithm. The HMU software can be customised to the supervising customer’s requirements. 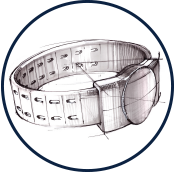 One-Piece Tracking Unit – the transmitter bracelet has both a GPS module and GSM modem integrated into it, which enables real-time tracking of the individual on a map and automatic alerting of the Monitoring Centre and the individual if the latter enters a prohibited area. In locations where the GPS signal cannot be tracked, a subject’s location is established using GSM-based stations. The transmitter has a hot-swap feature that eliminates interruptions and downtimes during battery changes. 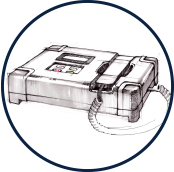 Field Activator Unit – a tool for the field operative, allowing both monitoring device activation/deactivation and servicing. 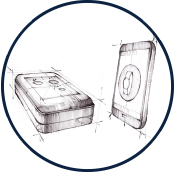 It works with an Android-based smartphone on which the mobile application is installed (TMB), presenting the necessary information on all Electronic Monitoring System devices within the range of the FAU. 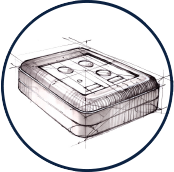 Two-Piece Tracking Unit – a radio device with a GPS module, registering signals from the transmitter and sending the information to the Monitoring Centre over a GSM link. This system is extended to protect people aﬀected by a curfewee, and can be used to detect the unwanted presence of a curfewee in their locality. Repeater – a device connected to the Home Monitoring Unit to increase signal reception and range in the area of surveillance. It detects attempts to use unauthorised devices duplicating the signal from the subject’s transmitter. A dedicated application for penitentiary services, enabling the introduction of place reservation in the system, exchanging information within the existing processes, registering judicial decisions, supervising sentences and creating reports. Access to the application is possible from a web browser on a computer with any type of operating system, anywhere in the world. An advanced technological application, allowing the Monitoring Centre operators to handle all subject related incidents. Thanks to the comprehensive and standardised instructions, it optimizes costs and staﬀ time, while maintaining the same operating standards, regardless of location and time of intervention. 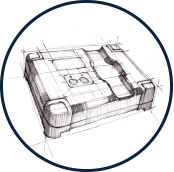 This system component is essential in planning eﬃcient logistics and managing the condition of devices in a distributed environment. Electronic Monitoring System is a comprehensive All in One platform. The architecture of the solution ensures continuous, uninterrupted and effective operation of the whole system and all of its components, even when applying updates and modifications, or in the event of any failure. The system features a failure prediction and prevention function, with remote problem diagnosis and solving functions built into the devices. The applied technology and proprietary software signiﬁcantly increase the security of the entire Electronic Monitoring System and eliminates the costs associated with servicing interventions and the replacement of equipment.